If you have a big purchase coming up, set up a special savings account with a good interest rate to help the balance grow faster. Savings accounts are easy to set up and are low on the risk meter compared to other investments. One of the growing trends in budget technology is savings apps that automatically deduct from your accounts to put away funds in another savings account. These apps can round purchases up to the nearest dollar and deposit the difference, make deductions based on your spending habits, or take your change to invest in low-risk stocks. There are lots from which to choose from. Acorns or Digit are great APPS to get you started. Fancy coffee drinks are a treat, but they can also drain your budget. If you normally hit up Starbucks or the coffee cart six to eight times a month, limit yourself to only three or four coffee runs (or less). The same can be said for lunches. Commit to making your own lunch, and you’ll be amazed at how quickly those savings add up! Maybe a vacation or expensive purchase is looming, like that of a house or a car. A helpful tactic to help you save money is to impose a shopping ban on yourself. For a set period of time (usually one to three months), ban yourself from buying all nonessential items. Items that aren’t necessary to your survival will have to wait until the ban is lifted. Plus going out for meals each month put a limit on this or wipe it all together. When grocery shopping, or even heading out to some big department store (i.e., Kmart, Target, Farmers, etc. ), make a list. You’ll be less likely to fill your cart with impulse purchases, thus saving money each trip. There’s nothing like time to give you a little perspective. If you find yourself getting caught up in the frenzy of buying, set an amount as a threshold—$50 or $100 or $200. Determine that any unexpected purchases above that amount require a 24-hour holding period. This will keep you from making large impulse purchases or signing up for credit cards or payment plans that can hurt you financially in the long run. Are you working toward being debt free? 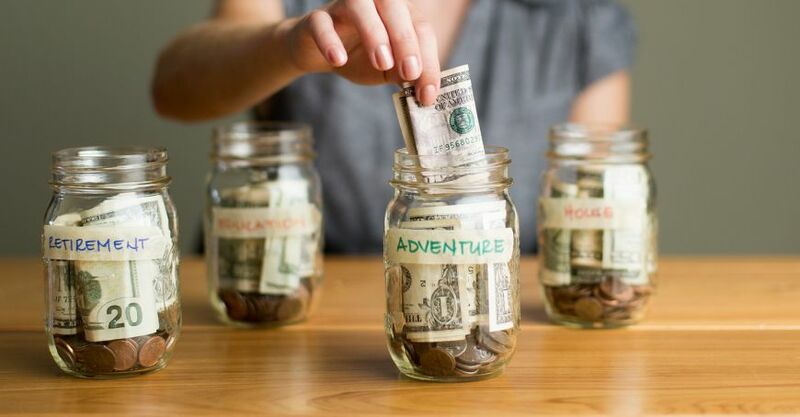 Are you saving for something particular (a new car, a mortgage-free home, a family vacation or something else)? If so, keep reminders of your vision in front of you either write it down make it plain and clear or have a visual image on your refrigerator, car dashboard or bathroom mirror. You can even create a screensaver for your computer, tablet or smartphone so several times every day you remind yourself of your vision. Ensure you are spending your current income wisely, live within your means. “If you are faithful and wise in little things, you will be faithful in large ones. With diligence, planning and a few proven strategies, you can better manage your finances, and your rainy-day fund will grow like never before! Want more help with getting out of debt? Check out my May Blog on my website on "5 Tips to Clear Your Credit Card Debt or HP Debt FASTER!" I encourage you not to give up with your Financial Goals, create a plan and stick to it, push through the obstacles and bad habits that may show up until you gain what you want ensure you continue to move forward. If need be get help.